Finally, someone has done it! Samsung just developed an OLED display panel that is both flexible and unbreakable. It's now certified by Underwriters Laboratories (UL) and surpasses US military durability standards. It could be coming to smartphones and other devices, including tablets, soon. Hopefully, this will inspire the competition to follow suit. Flexible displays nowadays are typically covered with glass, which are prone to break when dropped. 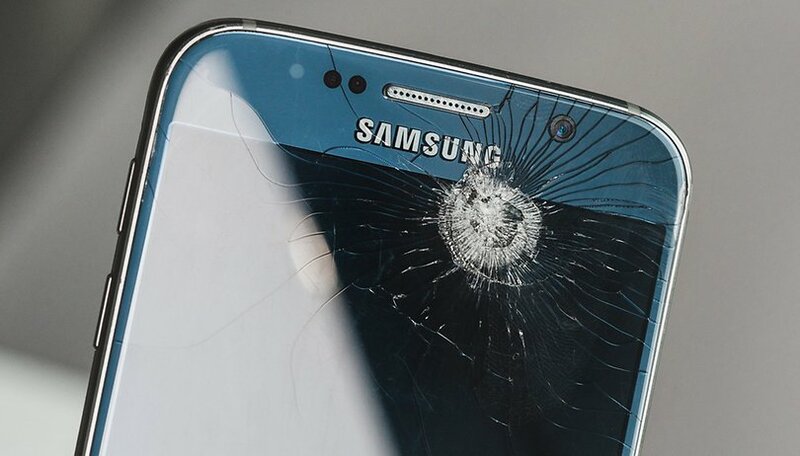 As anyone who has ever broken their smartphone display can attest, replacing a screen can cost a pretty penny. Samsung may have a solution to do away with all those repair bills, which could save consumers hundreds. The durability test done by UL for its certification uses standards set by the US Department of Defense. The panel which was tested survived and continued to function normally after 26 drops in a row from 1.2 meters (about 4 feet) above the ground, and temperature tests at a high of 71 degrees and a low of negative 32 degrees, all without damage to its front, sides or edges. It even surpassed the standard by functioning normally after a drop from 1.8 meters (about 6 feet). Since Samsung is a leader in the smartphone industry in general, and with displays in particular, this could push other smartphone manufacturers to adopt the same technology. This is an exciting move forward, though it's unlikely we could see the adoption of the unbreakable display as quickly as the new Note 9 or even the Galaxy S10 given that it was just certified. Regardless, by making this announcement, Samsung is putting other manufacturers on notice, since an unbreakable display could be a unique draw for customers and a big sales booster. Samsung's flexible OLED panel is made with an "unbreakable substrate" and a plastic overlay window that is also lightweight. Samsung also touts its transmissivity and hardness, which the company says makes it similar to glass. But how similar to glass is it? There could be drawbacks to this new unbreakable display technology. There's a lot of room for interpretation of what "very similar to glass" means, so we'll have to wait and see just how scratch prone the display is and how it looks in person. Here's another exciting potential: If the end result is just as good as glass in terms of hardness, or nearly there, this new material could even help smartphone users feel confident enough to shed their cases. As I've written in the past, current flagship smartphones are so fragile that cases are practically non-optional, meaning the design doesn't matter anymore since you'll never see it. Manufacturers, tech journalists and users alike all obsess over the design of the smartphones we hold so dear, and maybe we could finally enjoy them case-free! I can't wait to get my hands on a smartphone with an unbreakable display. What do you think of Samsung's newly certified unbreakable OLED panels? Are you excited? Now cases are a must have, and the backs won't be seen, it is a good time to have a shiny plastic back and removable battery again. Plastic backs were super lightweight and stronger than glass and would still keep phone watertight-see Samsung S 5. Plus no brick of a portable charger needed because original battery is about a third of the weight and thickness. Dropping it is one thing. Try POKING IT with your fingers, pencil, keys etc...see how that works. Probably add another two hundred pounds to an already to expensive device? Ive got a much cheaper option buy a case and dont drop them simples. iv been saying this about the design of phones for a long time, it really does not matter what material they use for the back as 90% of us never see it, I am sure we pay extra for the design. you have to use a case, I don't even like the curved display as it can be awkward to use if you buy a durable case. on another point about cases, I actually purchased an s9 plus when they were available instead of the mate 10 because it's really hard to obtain a new durable case for most Chinese smart phones when they are released, it takes months for one to become available and only from China which means you have to be really careful with them. durable cases for Samsung phones are available at the same time as the phones are released from companies like Spigen. I have managed to make a small scratch on the glass screen of my s9 so let's hope they don't use plastic for screens.